Becky Plumberg and Veronika Carrender are presenters at the annual Maker Faire at Union Station. The event runs June 23-24 at Union Station. For more information, visit KansasCity.MakerFaire.com. Segment 3, beginning at 26:36: Local pyrotechnicians share the love of their craft. If you've been in Kansas City during the 4th of July, you probably would have never guessed that fireworks are, for the most part, illegal here. 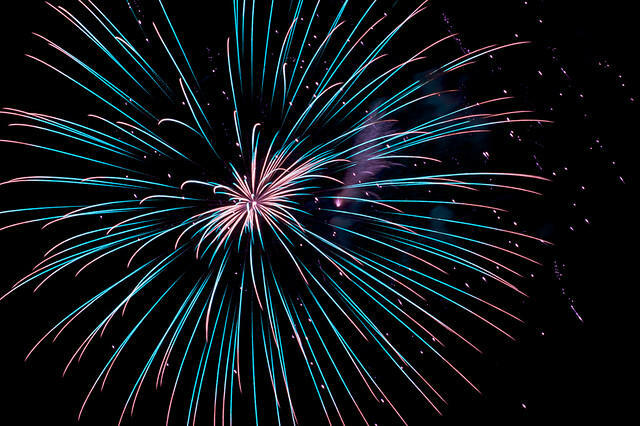 We visit with two enthusiasts about what keeps them interested in fireworks all year round. Seg. 1: Etzanoa. Seg. 2: Kansas Dinosaur. Seg. 3: Mary Beth Tinker. Segment 1: The ancient civilization that once thrived in Kansas. About a year ago, a researcher at Wichita State University found the city of Etzanoa, an indigenous settlement that once thrived in Kansas. Limited tours for the public are just now getting started, but accessing the site can be hard: there's a modern city on top of the ancient one. When First Fridays started in Kansas City, the whole point was to bring more people to the Crossroads to experience art. But for years now, critics have been saying the festive scene has lost all focus on art. “Most contemporary artists in Kansas City have a tendency to hate or just throw vitriol at First Friday because they think it’s an annoying touristy trap of everyone from the suburbs,” said Melaney Ann Mitchell, an artist who runs a website called Informalityblog, where art critics write about what’s happening in area galleries. The night sky will light up this Fourth of July weekend with dozens of fireworks celebrations across the Kansas City metro. The largest — and possibly the loudest — is likely to take place Saturday night at Jackson County's festivities at Longview Lake.